We are looking for solution for Web Shop for vector type of geospatial data. Idea is to make web aplication where customer can chose layer, draw bounding box on map and create a request to purchase the data. Aplication should create receipt, and prepare the data for download. After payement app should provide download link to customer. Is this posible to be done with Smart M.App or any other Hexagon Geospatial product? Is there someone who has already have done something similar or who has idea how it can be done? I believe it is really something to be built with Smart M.App, but i'm not sure if there is a store/shop front-end already done. There is something done with ERDAS APOLLO by Dotka Data in Netherlands. Erdas Apollo and Clip, Zip and Ship function was our first idea, but CZS works only with raster data. It doesn't work with vector data. 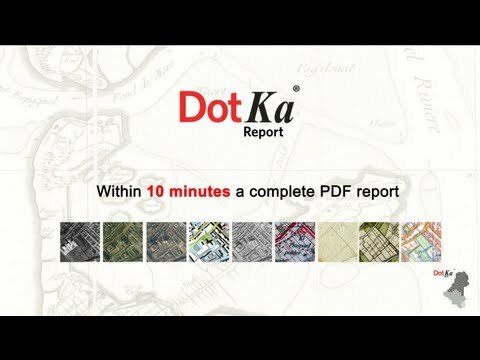 In Dotka example there is option to buy raster data or generated reports. In our case idea is to purchaase vector data (parcels for example) which can be downloaded as shp or gml. We are preparing this for customer who already have Apollo, so it would be the best option. Also, Creating a Smart M.App would be a great. First you need to develop the shop front end, where the user (client) selects the layer and defines the AOI (area of interest), the client may be able to preview the layers on screen through WMS (there is no technical limitation on the basemap or API you use there). Then, the application will place the service order and generate the receipt. Once the receipt has been payed, you could give the client a simple link to download the data. If I remember correctly Apollo´s WFS allows you to download data in GML, SSV and Shapefile, so, you could create a WFS request using the selected AOI and provide the client with that. Down side I can see is that WFS will only work with a bounding box, so it will only work with square AOI´s. It is not a complicated, nor a refined way to do it, had part her would be securing the service, but with some tweaking It may work.